Don’t worry—they’re not dangerous. Ornamental custom spears are, simply put, the top of the wrought iron fence that you have installed near your home or business. You can opt for the standard spear, or you can design your own custom spear to set your fence apart from your neighbors. If that’s your choice, Apple Fence is perfect for you. With more than ten years of experience and an in-house fabrication center, Apple Fence is ready to make your fence design, creation, and installation process easy and affordable. If that sounds a little bit menacing, don’t be alarmed—we’re talking about Apple Fence’s in-house manufacturing center. 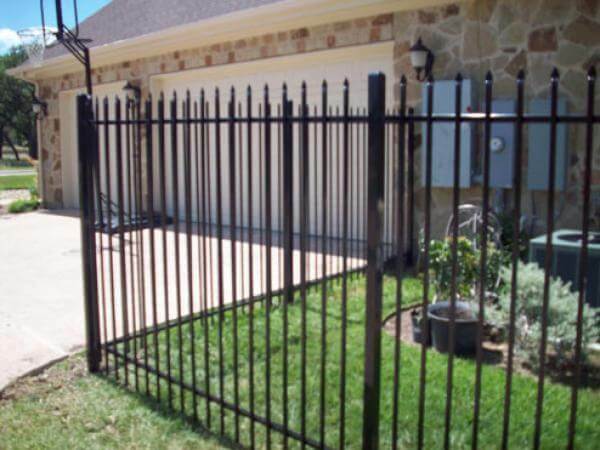 We make our own iron fences, ornamental custom spears, and custom gates right here in Austin, and we provide every one of our customers with the service and attention to match. We will walk you through the whole process, from design to installation, and help you get your fence installed as quickly as possible. Another one of the benefits of working with Apple Fence is our commitment to quick and professional installation. We have multiple crews with the most qualified and experienced contractors on staff, so that you don’t have to wait weeks or months to change the look of your home or business. Give us a call and let us show you the Apple Fence difference.